Hello! 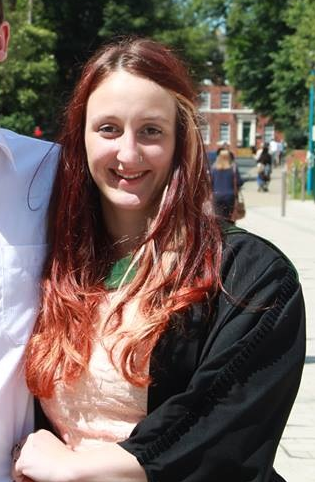 I’m Julia, and I’m currently working as the Community Projects Intern with Leeds University Union. I graduated this summer with a BA in Philosophy and Sociology. My role is within the community department and is aimed broadly at supporting community projects in Leeds that try to get students to engage and live well within their community. This covers everything from running the ‘get to know your neighbour’ project to lobbying with transport providers to give students a fairer deal. Everyday is different and brings new challenges and the chance to do new things. Before getting this role I worked in the Terrace kitchen at LUU, as a kitchen supervisor. In addition to this, in my final year I volunteered one day a week with Luv2meetU, a friendship and dating charity for adults with learning disabilities, and was on the committee for Homed as head co-ordinator for the Seacole hostel. I think one of the key things that helped me get this role was engaging with Leeds as a city and making the most of all of the opportunities it has to offer. These experiences helped me grow as a person and helped me develop many skills such as how to communicate with people from different backgrounds, event management and volunteer management. I have always had an interest in volunteering, and have known for a while that charity work is what I would like to get into, but taking advantage of the variety of opportunities offered through both the Union and Leeds as a whole really helped me gain valuable experiences that can be transferred to a role in the third sector. I think the key thing to success in any area and in any city is to get out there and do things, rather than sitting at home thinking of all the things that you could be doing. I think it’s also important to remember that even if you don’t have a lot of time, you can always find opportunities and experiences that will fit the time constraints that you have! I knew that I wanted to work for a charity and really wanted to stay in Leeds, I thought that finding opportunities would be hard, but once I started looking there were far more jobs than I thought there would be. Some of the jobs I applied for weren’t exactly what I wanted to do, but part of the job descriptions matched what I was looking for in a role so this is why I applied. I think the key to success in finding a job is to constantly be on the lookout for jobs, to ensure that you don’t miss out on any opportunities. Although I was always looking, I wasn’t constantly writing applications, I found that putting everything into an excel spreadsheet was a really easy way of keeping track of jobs and deadlines. When writing applications I think one of the most important things is to refer specifically to the job specification. I found that when writing the ‘personal statement’ part of job applications it was helpful to have the person specification next to me and to write a paragraph for each point they had made. This gave me structure when writing my application and also meant that I was sure I had covered everything they were looking for. It’s important to use the same words as in the person spec, as you’ll be making life easier for the person who is shortlisting candidates – you never know what day they’ve had so making their life easier can only be a good thing! Remember that the Careers Centre is here to support you in your graduate job search. Graduates are still more than welcome to use all of the Careers Centre services, including drop-in, eGuidence and our vacancy database.